The Swiss Seismological Service (SED) at the ETH Zurich is the department of the federation for earth quakes. 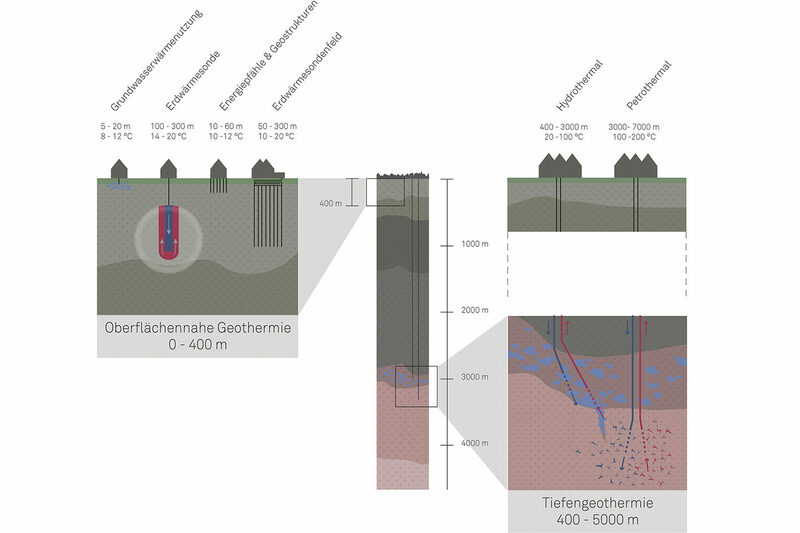 An infographic about near surface and deep geothermal energy, 2016. The graphic can be divided into two parts and can be used separately. 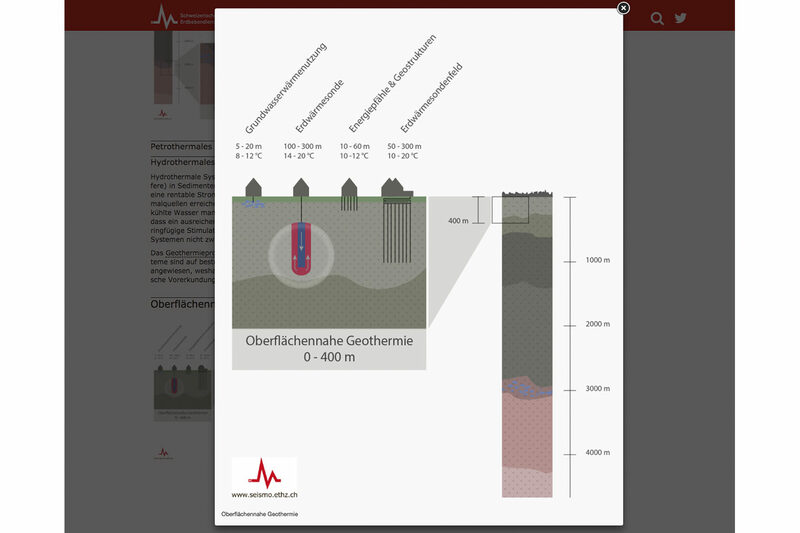 Shown on the website of the Swiss Seismological Service (SED).